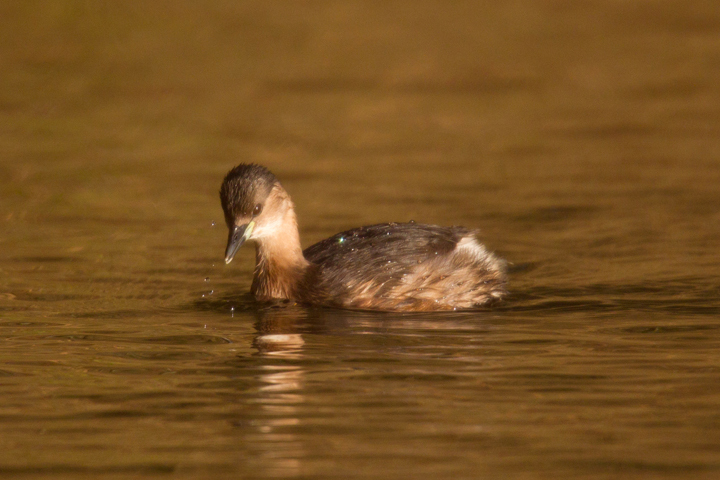 Last month I spent a couple of afternoons photographing the little grebe or dabchick,as it is also known.Ollie and me had noticed a pair of them during our walks along the riverbank and so I decided to come back while Ollie went home for a lie down.I walked back along the bank of the River Whiteadder,near where I live in the Scottish Borders.I selected a spot to sit,with my back up against a tree trunk,set up the tripod,long lens and having donned my camouflage gear, I then covered all with my Harry Potter invisibility cloak.Then it was just a matter of sitting,waiting and hopefully capturing some nice images of these lovely, busy little characters.I was sitting under the tree,beneath a bank,in the shade, while the sun shone across the water,throwing reflective colour over the water from the opposite river bank. 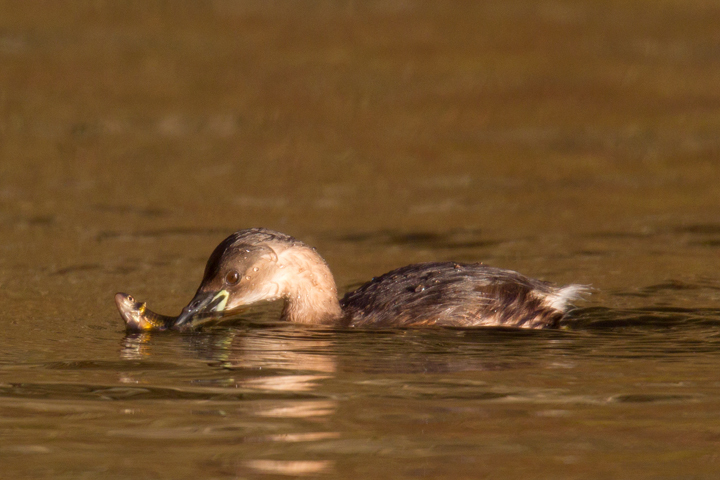 Here are some of the images from a cold but enjoyable couple of afternoon sessions. 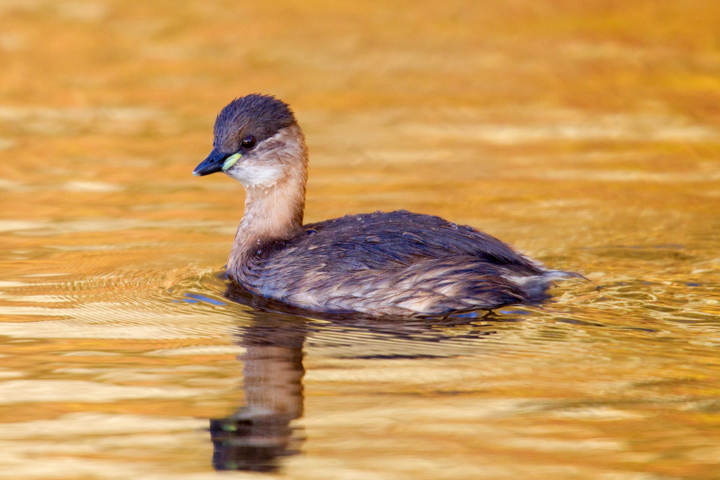 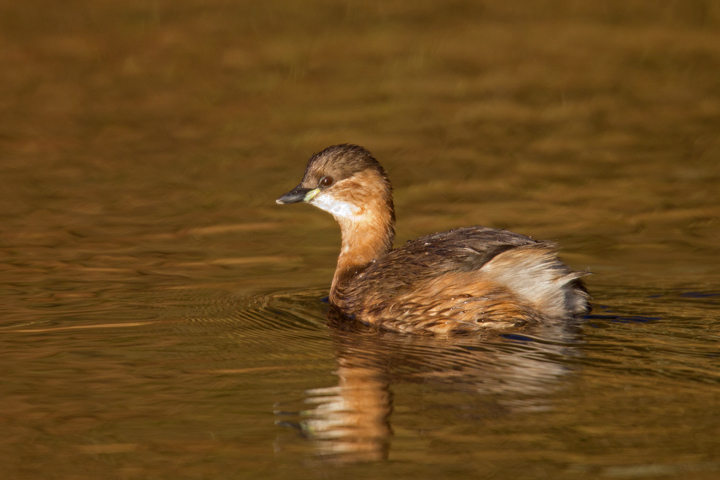 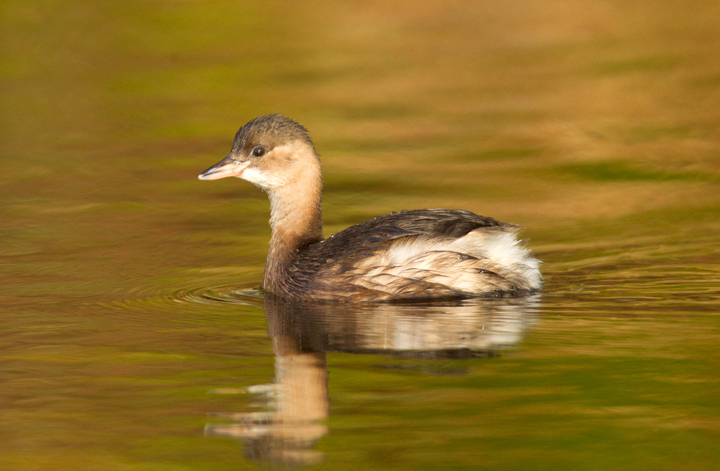 Little Grebe with reflected colours on the River Whiteadder. 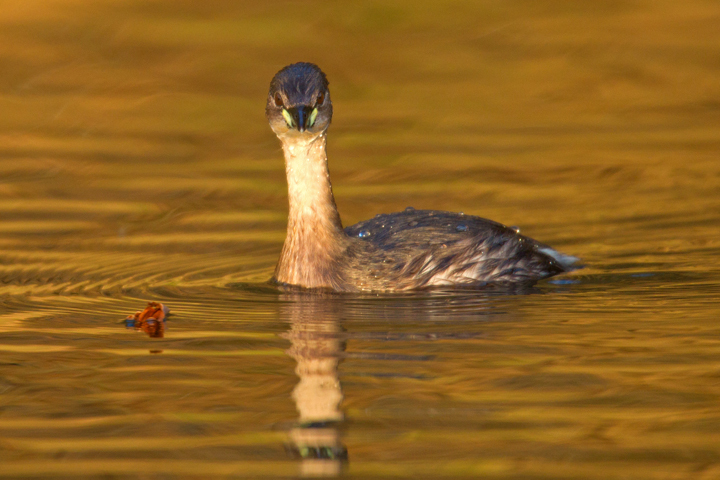 On the River Whiteadder in Berwickshire,Scottish Borders. 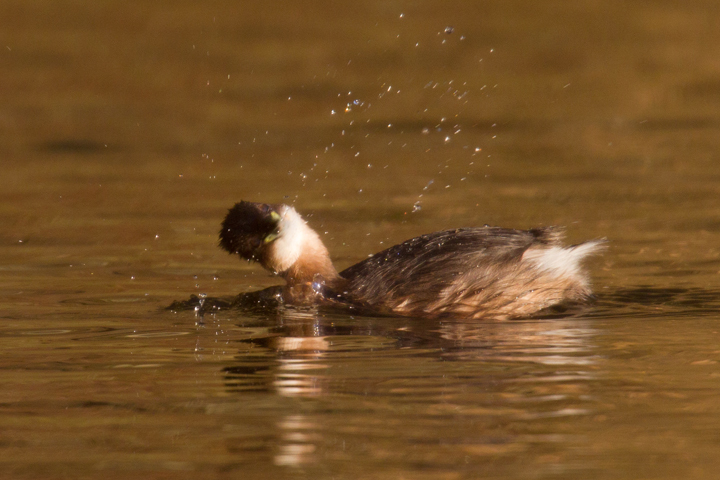 A vigorous shake of the head. 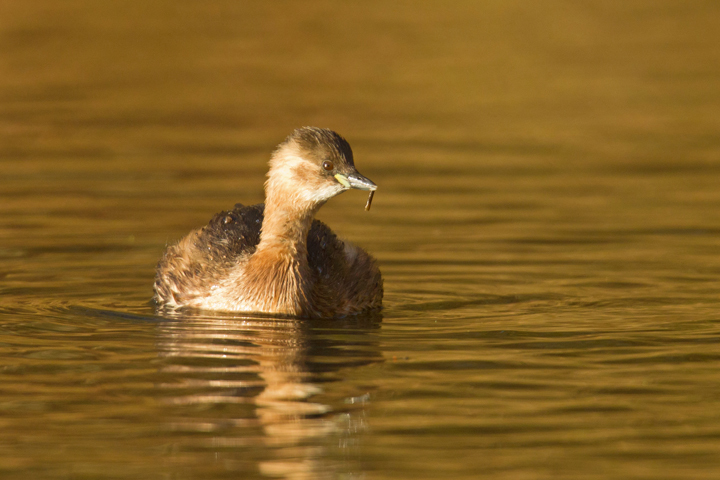 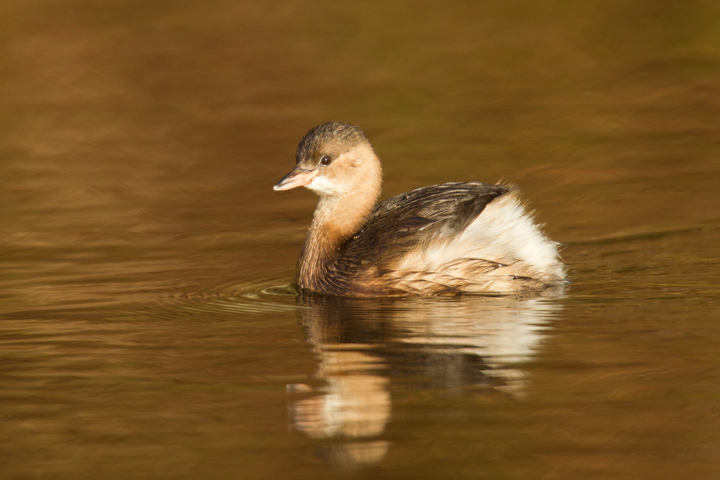 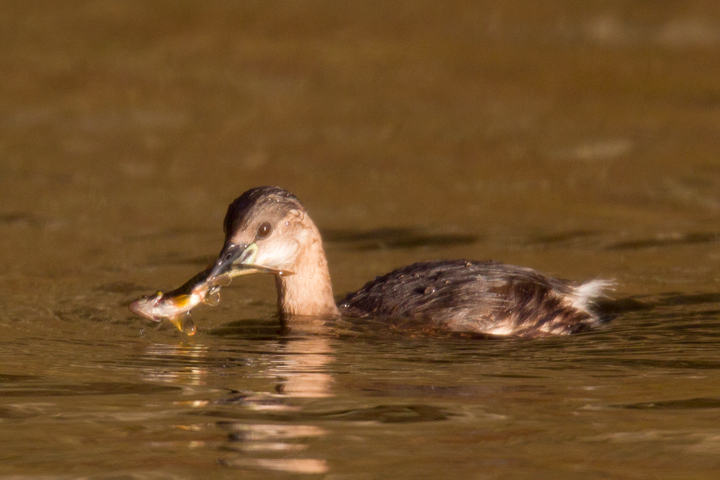 Little Grebe with insect larva. 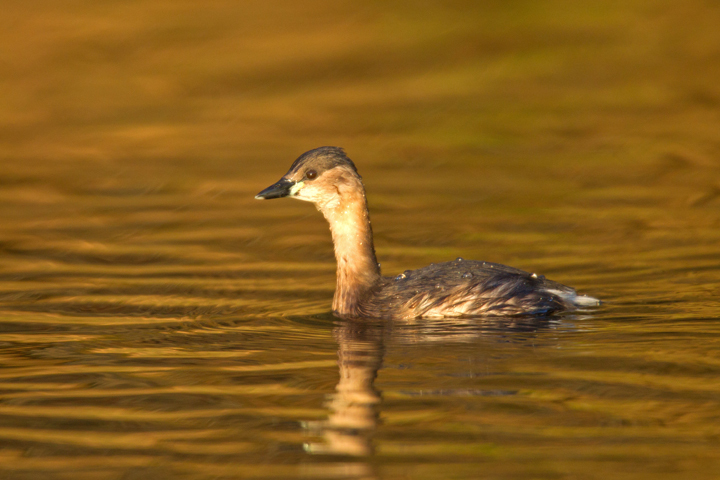 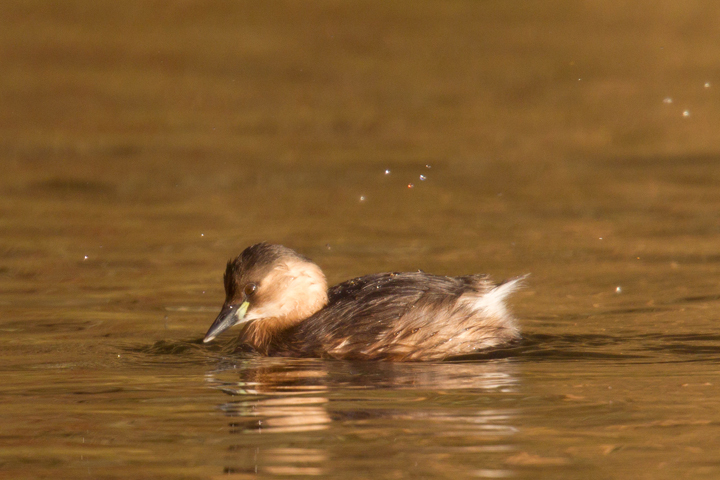 Little Grebe and beech leaf.